Enjoy the dazzling rays of the sun – in your very own room! 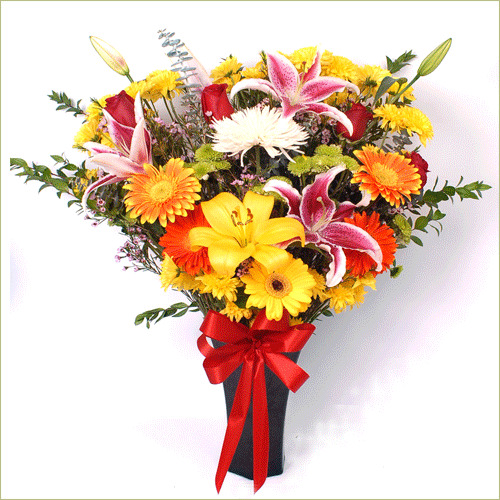 Orange gerbera daisies, and white spider moms are accented with red roses. Bring some sunset home today!